At Hartzell Propeller, we are a company of aviators. That means we value not only the joy of flying but also aircraft safety and performance for pilots around the world. Operating an aircraft in need of a propeller replacement or overhaul can be a dangerous risk. Here are three signs your aircraft is ready for propeller maintenance or upgrade. It may seem obvious, but it’s important to pay attention to your propeller’s time before overhaul (TBO). Flying your aircraft with propellers beyond their intended service life is inadvisable and potentially dangerous. Overhauling or upgrading your propeller is an investment in your aircraft’s future safety and performance. Hartzell’s Top Prop conversion propellers offer an extended warranty all the way through first overhaul—the longest in the industry—enabling pilots to reduce costs while promoting overall safety. Hartzell also offers a world class service center to complete your propeller maintenance and repair, and a global network of Recommended Service Facilities. All propellers are vulnerable to corrosion and damage from exposure to inclement weather. That’s why it’s vital to do a pre-flight safety inspection of your propeller (and entire aircraft) before and after every flight to ensure there are no small cracks or blemishes, which can turn into major problems in the air. If you do find a crack or imperfection, be sure to contact a certified aircraft care professional and consider an overhaul or replacement. 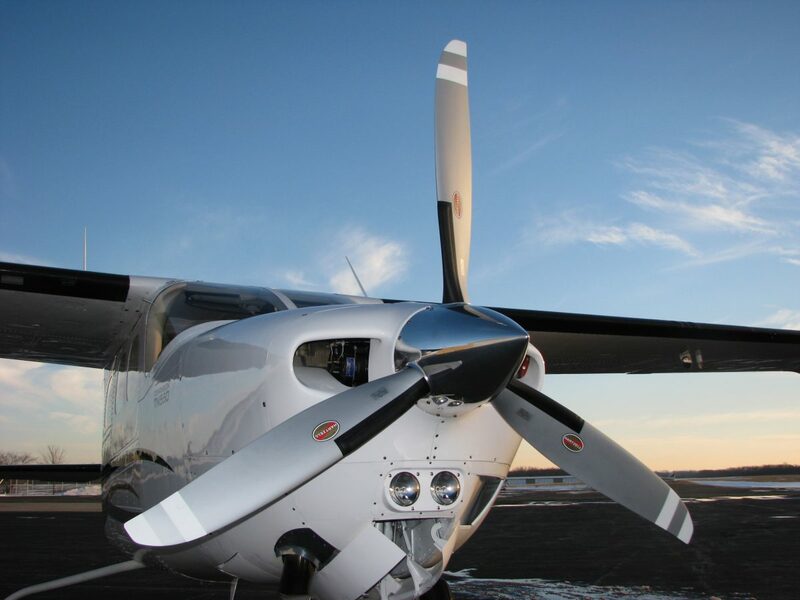 When you’re ready for an impressive performance increase from your airplane, Hartzell’s aluminum and ASC-II composite propellers can make all the difference. Through our Top Prop conversion program, pilots can dramatically improve aircraft performance in one or more of these areas: shorter take-off distance, lower noise levels, better ground clearance, reduced tip erosion, increased climb rate, increased cruise speed, and overall smoother operation. We’re passionate about providing pilots opportunities to improve their aircraft while promoting safety. If you’d like to learn more about the Top Prop conversion program or have questions about overhaul and replacement, please contact the experts in our Service Center.